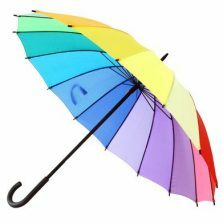 Rainbow Pagoda Umbrella - Umbrellas & More from Umbrella Heaven! Red and yellow and pink and green; orange and purple and blue… listen with your eyes … you can sing a rainbow too! Great for staying cheerful on those darker days. 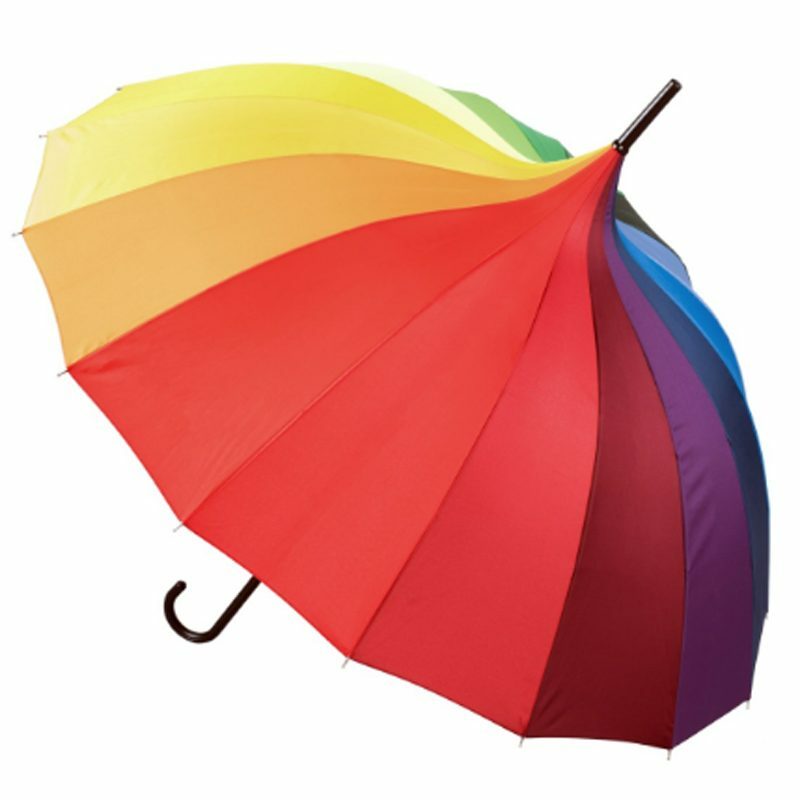 Looking for a high quality rainbow pagoda umbrella? We have you covered! 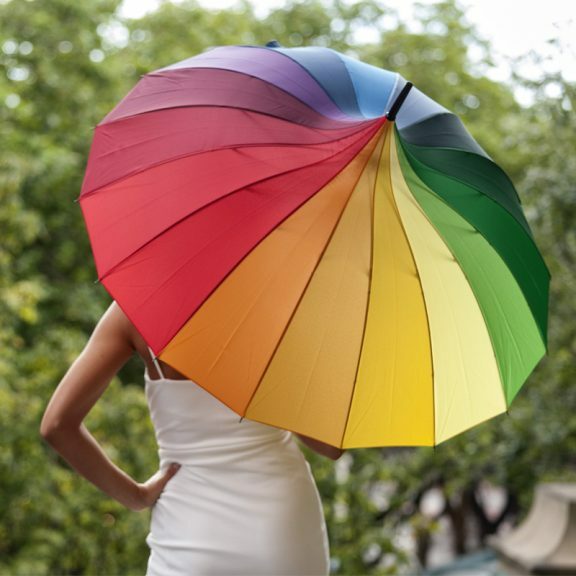 New to UH, this stunning rainbow brolly is enough to brighten up anyone’s day, no matter how dark or dreary. Featuring a classic colour spectrum canopy spanning across an impressive 16 panels, this creative, colourful rainbow parasol is both stylish and functional. This really is the greatest way to say “not today, rain!”. 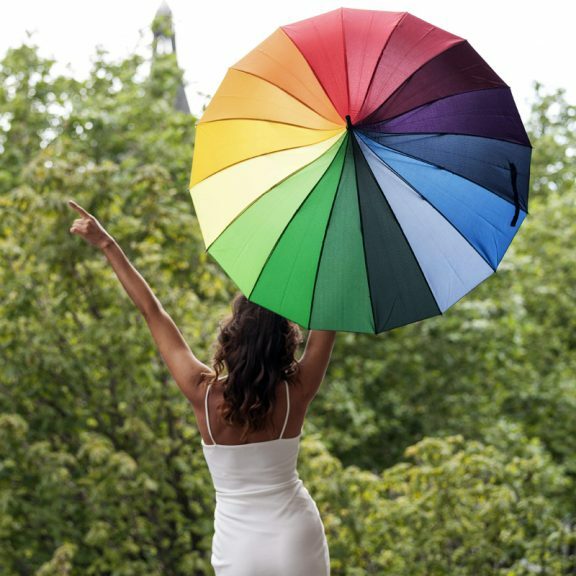 Brighten up any day with ease, simply open your remarkable rainbow umbrella and away you go! 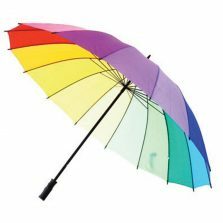 Sporting a set of 16 strong flexible fibreglass ribs, the rainbow pagoda umbrella is waterproof, windproof and oh, so stylish! This rainbow canopy is made from 100% polyester, is coloured on both the inside and outside. Not only that, but this rainbow pagoda umbrella has a bold, black leather-style crook handle. With the distinctive new pagoda profile, this bright, bold, beautiful brolly really is something else! 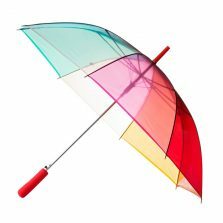 Want a rainbow umbrella for the children? 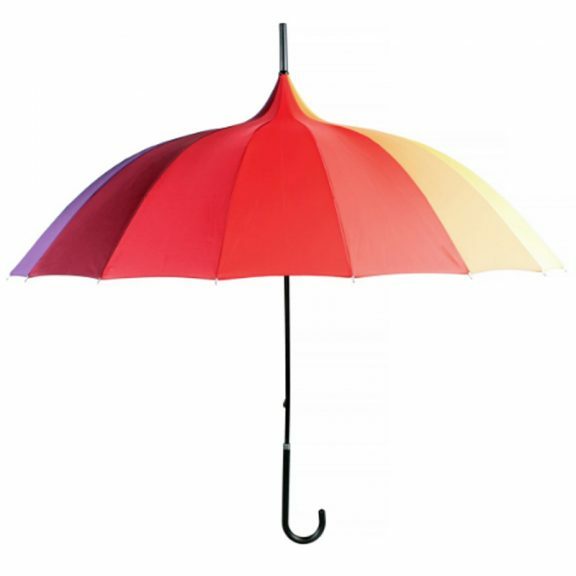 No problem, check out our Kids Rainbow Umbrella! Not the one for you? Check out the rest of our range of quality Art Umbrellas!